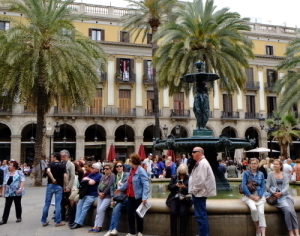 Barcelona has a rich cultural heritage and is animportant cultural center and a major tourist destination. 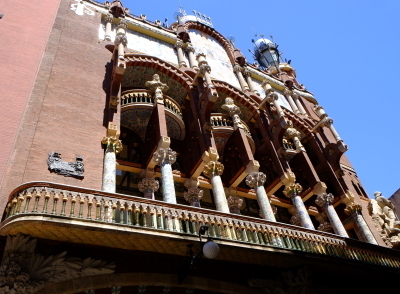 Particularlyrenowned are the architectural works of Antoni Gaudí and Lluís DomènechMontaner, which have been designated UNESCO World Heritage Sites. 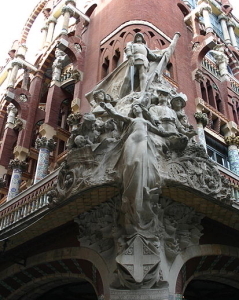 Catalannationalism was an important influence upon Modernista artists, who werereceptive to the ideas of Valentí Almirall and Enric Prat de la Riba and wantedCatalan culture to be regarded as equal to that of other European countries. 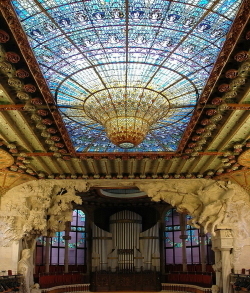 The earliestexample of Modernista architecture is the café Castell dels tres Dragonsdesigned by Lluís Domènech i Montaner in the Parc de la Ciutadella for the 1888Universal Exhibition. 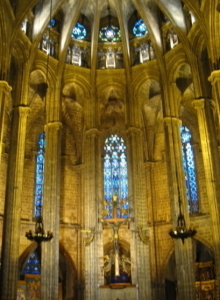 It is a search for a particular style for Cataloniadrawing on Medieval and Arab styles. 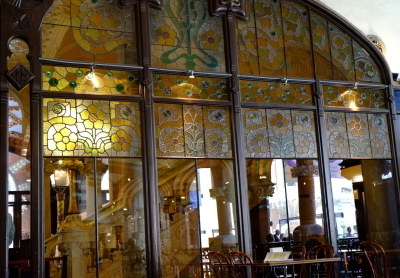 Like the currents known in other countriesas Art Nouveau, Jugendstil, Stile Liberty, Modern Style or Sezessionstil,Modernisme was closely related to the English Arts and Crafts movement movementand the Gothic revival. 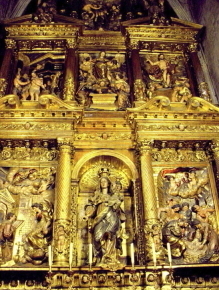 As well as combining a rich variety ofhistorically-derived elements, it is characterized by the predominance of thecurve over the straight line, by rich decoration and detail, by the frequentuse of vegetal and other organic motifs, the taste for asymmetry, refinedaestheticism and dynamic shapes. 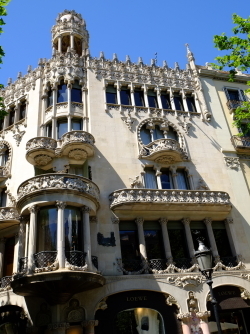 While Barcelona was the centre of Modernistaconstruction, the Catalan industrial bourgeoisie built industrial buildings andsummer residences - cases d'estiueig - in many Catalan towns, notably Terrassaand Reus. 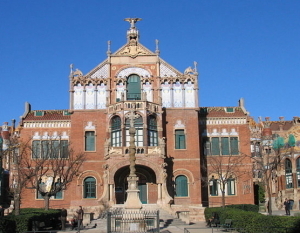 The textile factory which is now home to the Catalan nationaltechnical museum MNACTEC is an outstanding example. 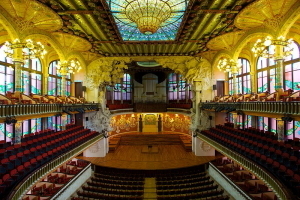 The Palau de laMúsica Catalana is a concert hall in Barcelona, Catalonia, Spain. 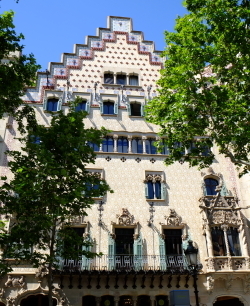 Designed inthe Catalan modernista style by the architect Lluís Domènech i Montaner, ThePalau won the architect an award from the Barcelona City Council in 1909, givento the best building built during the previous year. Between 1982 and 1989, thebuilding underwent extensive restoration, remodeling, and extension under thedirection of architects Oscar Tusquets and Charles Díaz. 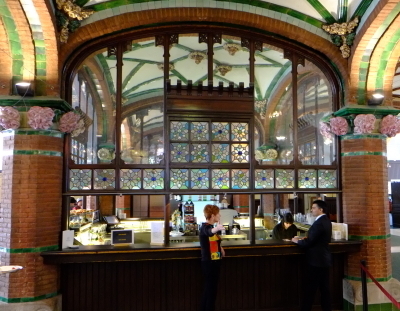 Hospital de SantPau is a complex built between 1901 and 1930, designed by the Catalan modernistarchitect Lluís Domènech Montaner. 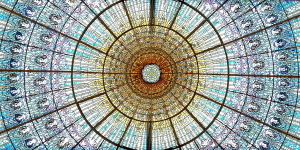 Along with the Palau de la Musica CatalanaCatalonia, in the world heritage of UNESCO, was the hospital fully functional. 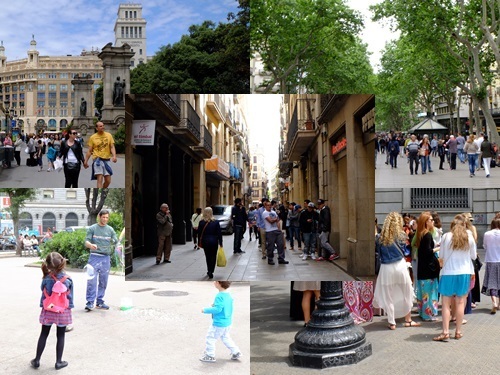 Plaça de Catalunyais a large square in central Barcelona that is generally considered to be bothits city centre and the place where the old city and the 19th century-builtEixample meet. 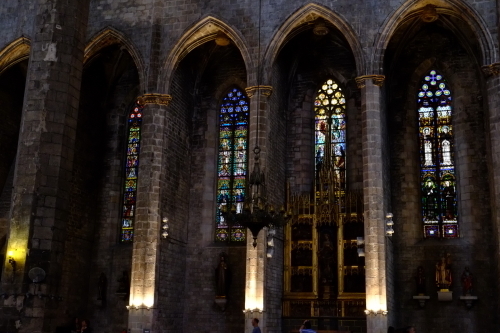 Santa Maria delMar is an imposing church in the Ribera district of Barcelona, Spain, builtbetween 1329 and 1383 at the height of Catalonia's maritime and mercantilepreeminence. 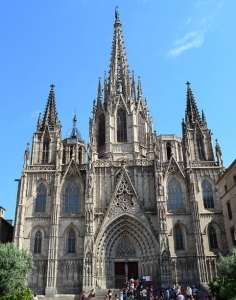 It is an outstanding example of Catalan Gothic, with a purity andunity of style that is very unusual in large medieval buildings. From theoutside, Santa Maria gives an impression of massive severity. 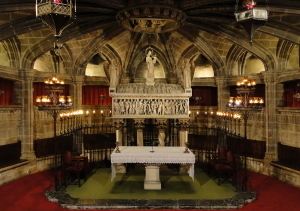 The latter is dominated by the west end ofthe church with its rose window. 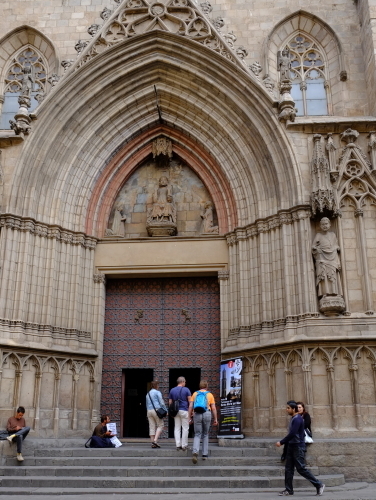 Images of Saint Peter and Saint Paul occupyniches on either side of the west door, and the tympanum shows the Saviourflanked by Our Lady and Saint John. In contrast with the exterior, the interiorgives an impression of light and spaciousness. 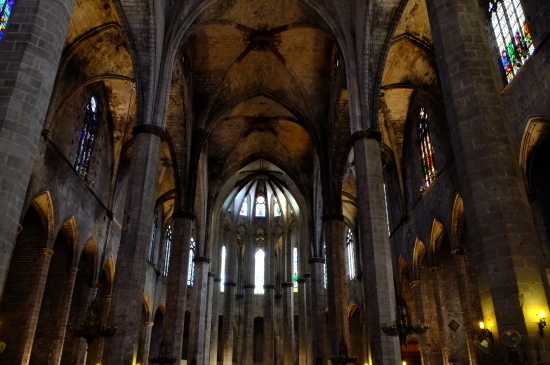 It is of the basilica type, withits three aisles forming a single space with no transepts and no architecturalboundary between nave and presbytery. 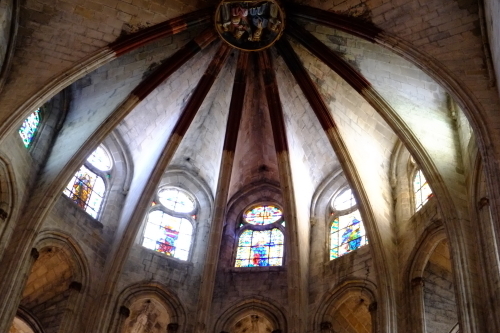 The simple ribbed vault is supported onslender octagonal columns, and abundant daylight streams in through the tallclerestorey windows. When you click a character, you can see the another phoh album of Split.